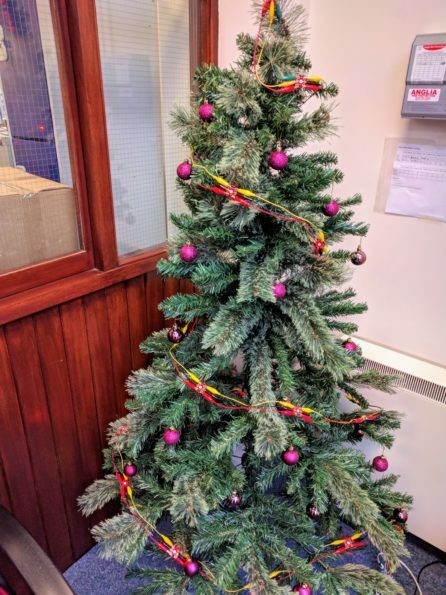 Our first proper Christmas since we moved in to our new building with Mindsets. 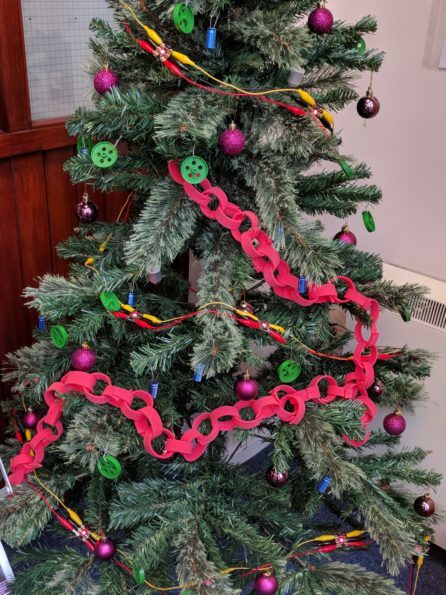 We’ve decided to mark the occasion with a suitably decorated tree! We connected 20 Sparkles and a Sparkle Baton together using croc-leads. We then wrapped these around the tree, with the Baton on the top. The croc-leads are almost a decoration in themselves! 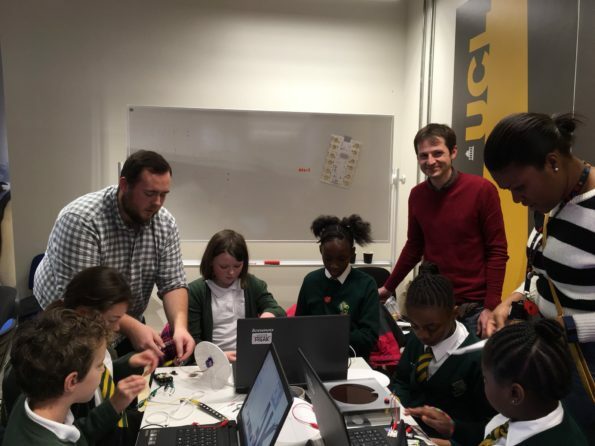 The Crumble is connected to a Raspberry Pi, which is connected to our network, meaning we can remote-desktop in and change the lights! It’s pretty much an Internet of Things Christmas tree. 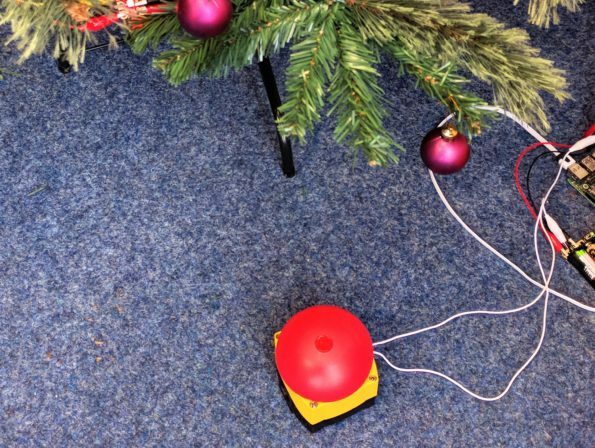 We decided to add our big red button near the base of the tree, to allow the user to cycle through the light sequences. The code runs a light sequence, and waits for the button to be pressed before moving onto the next sequence. We decided that the tree was a bit bland, especially during the day time, so we added a few more decorations to it. 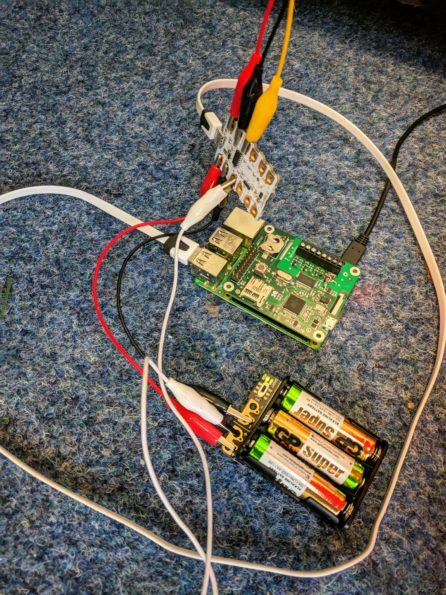 And there we have it, our IoT Christmas tree, ready to be programmed by anyone in the office.